So Group C fizzled out rather than reaching any climax and the qualifiers from Group D proved to be the two with the most quality in the final reckoning. 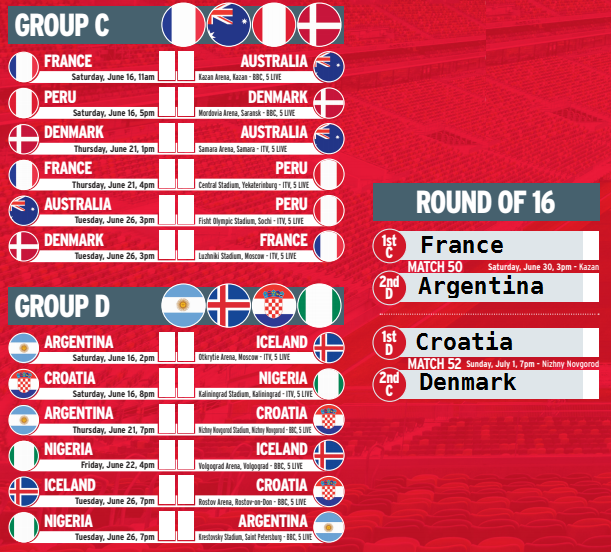 Argentina will have to up their playing level to progress much further; though round of 16 opponents, France, look bang average at present, too. 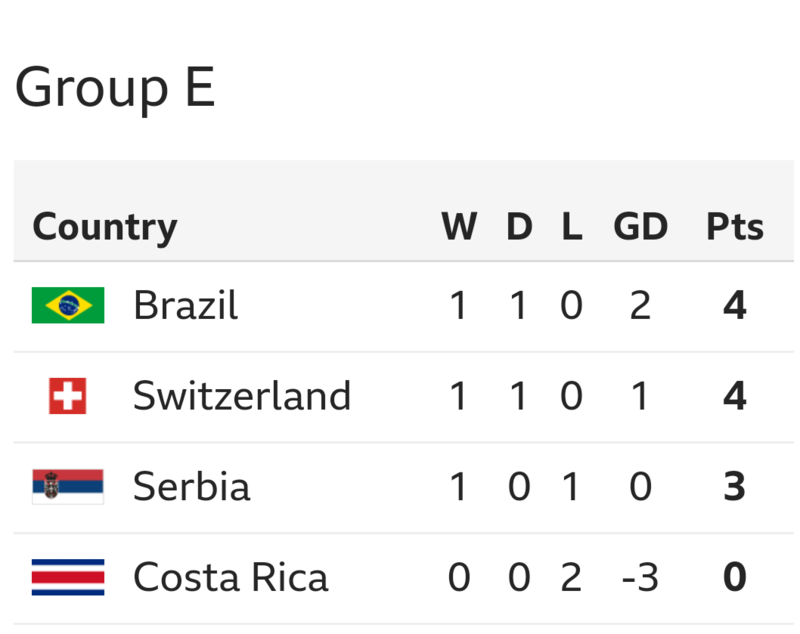 Group E looks fairly straightforward unless Serbia can pull off a shock. Neymar will use any means to annoy us with his theatrics. Leave it at home, mate; you’re a great footballer – that should be enough. Granit and Shaqiri escaped bans for their soaring eagles celebrations, so if the Swiss qualify, Arsenal should have at least two representatives playing in the Round of 16. 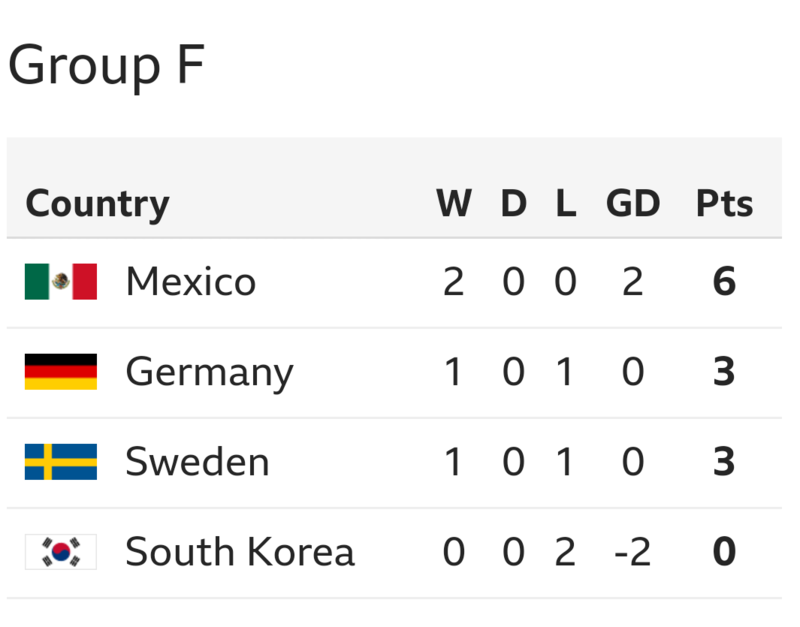 Group F could see a three-way tie on 6 points if the Swedes can beat Mexico and the Jarmans overcome pointless South Korea. Though Mexico should be too strong to let things slip. This entry was posted on Wednesday, June 27th, 2018 at 5:56 am and is filed under Uncategorized. You can follow any responses to this entry through the RSS 2.0 feed. You can leave a response, or trackback from your own site. 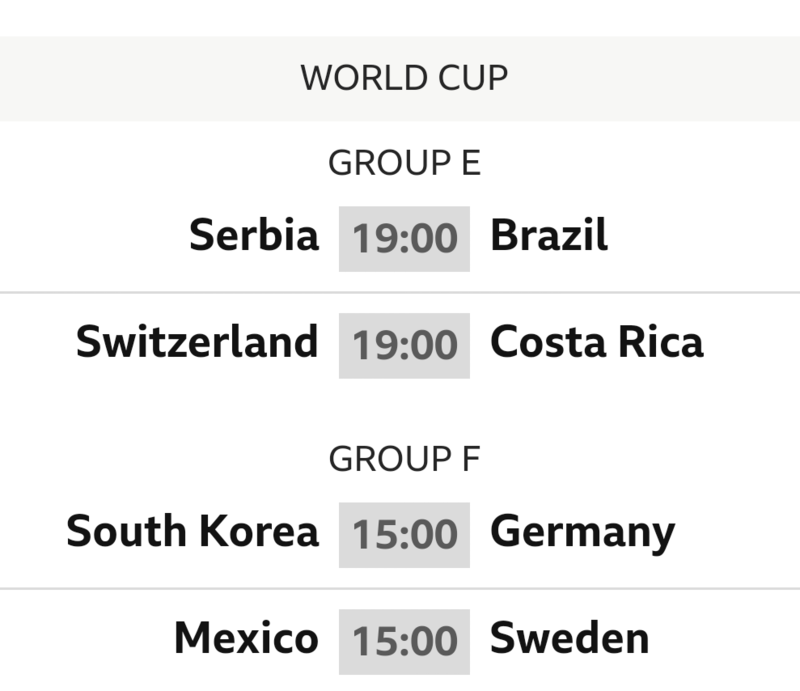 not much to drool over today, maybe serbia v brazil. As we fast come to the conclusion of the group games there is a seismic change that we need to adjust to, from 3 games a day to days off between games. Its going to be hard. Fred. I noticed that too. Strange. Brilliant 45 minutes of football. Best of the WC. 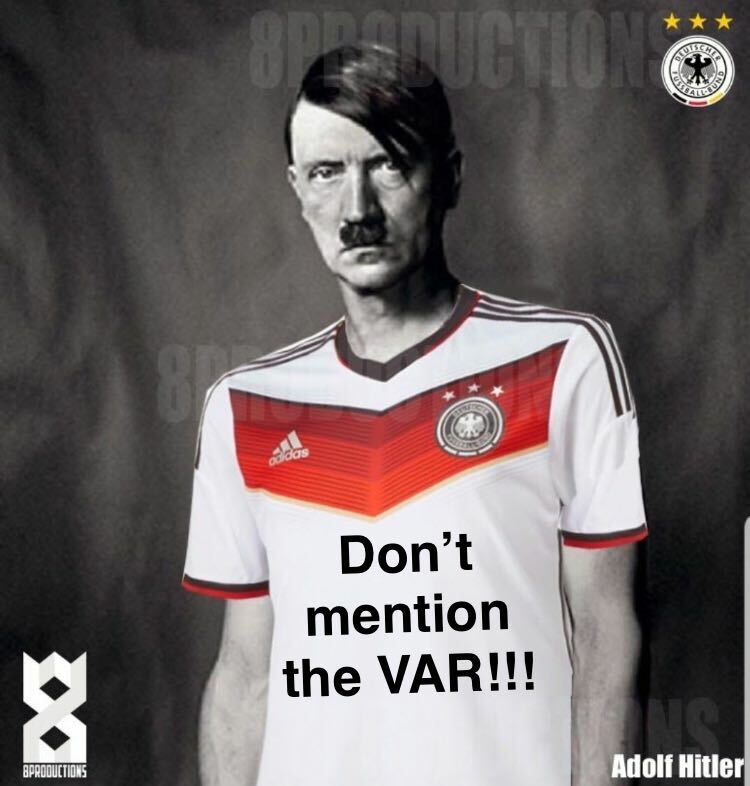 I asked the Polish girl in Bargain Booze if she’d seen that Germany were out, and she said that it mattered nothing as she was Polish. I said I thought the Poles didn’t much like the Germans. She looked a bit puzzled, as if Germany losing was irrelevant if Poland were already out. Obviously not a proper football supporter! You’re right up for the Concacaf teams aren’t you? Representing your bit of the world. I’m sure she realised it was partly her fault, that was why she was so pissed off. She’s scrubbed off my Christmas card list already. Germany going out has left my world cup chart in tatters.